At age 2, my daughter dressed up at Abby Cadabby from Sesame Street. 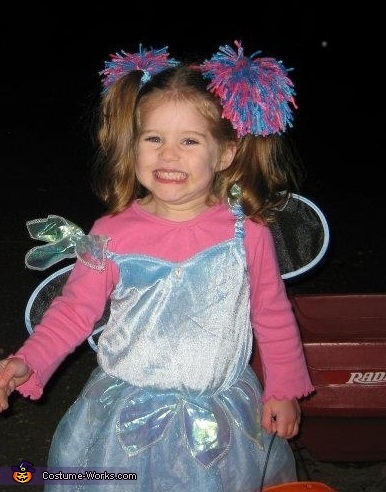 She wore a pink shirt and tights and a blue fairy dress. I made pompoms out of yarn for her hair. An easy, comfortable and creative costume!